... and she liked it. I am so glad, since I was really not sure what to send to her. She uses mainly small beads (at least it looks like that when you look at her blog). I am not using very big beads either, but for sure bigger ones than what I have seen in her designs. I found those orange glass tubes and I thought she might be able to incorporate it into one of her seed bead designs, if she did not want to use the other beads. I also put a couple of different elements for her to use as the focal, in case she did not like my choice. I was laughing when I received her soup, since that ring I sent her (see in the middle) was also in the package that I got from her. We must have something in common. 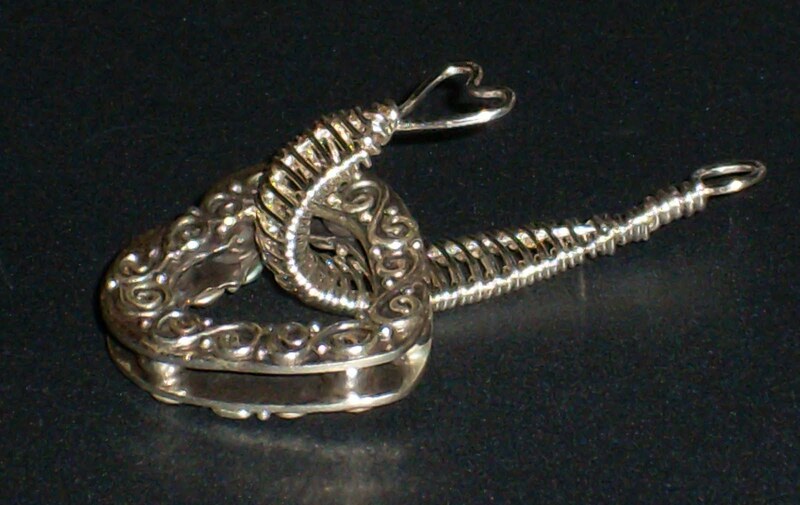 I could not find a nice sterling clasp, so I tool that heart component you see on the left, and made a wire woven hook to add it, so she can use it as a clasp. I think it turned out nice. I can't wait to she what she will make with this. The soup is simmering. 6 Response to "Rebecca got my soup"
Wow, awesome mix! 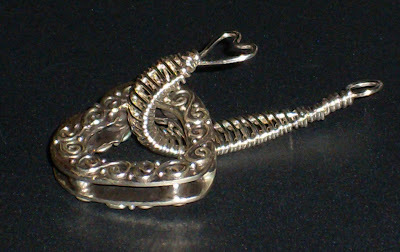 And the clasp is great! I can't see what I will make of it either! I love the beads :-) and especially the clasp. Love that clasp! The beads are interesting--I love them! I can't wait to see what Rebecca does with them! A fabulous assortment of beads! The clasp you made is really neat! I won a giveaway again!